Johanna is passionate about beautiful gardens and all things subtropical. Over the course of her career as a landscape architect, Johanna MacMinn has had the pleasure of designing dozens of small inner city gardens. Each one has had its own unique challenges, but a few common design dilemmas continually present themselves. Here she shares some professional pointers to help you maximise space in your miniature garden. 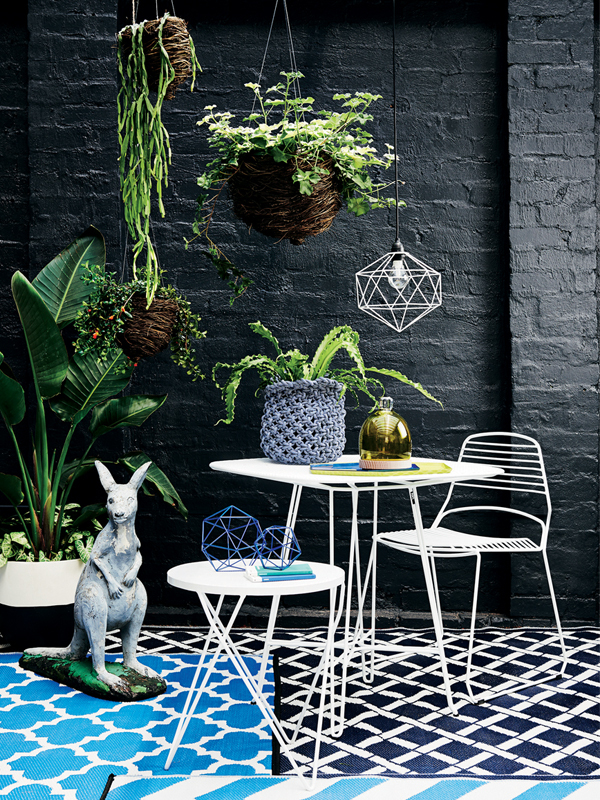 Firstly, start by making a list of everything you would like to accomplish in your courtyard and then prioritise your wish list. 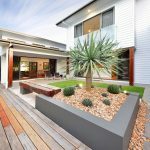 Just a few thought provoking words will help you visualise solutions and create an inner city courtyard garden tailored to your specific needs. Lack of storage space is a common complaint. Get rid of what you don’t need and get clever about the rest. Every day you are going to park the car, hang the washing and use the bins, so screening solutions need to be convenient and easy to use. Solving these issues is a priority. Once your courtyard is functioning well, the rest is easy. If you only have a concrete slab and no garden beds, building raised planter beds can be a good solution. They help to form and shape a garden by defining the area, and have the added benefit of providing additional seating if they are built approximately 400mm high. Pots are also a really flexible addition to a courtyard garden and are available in endless combinations of colour, texture and size. As many small elements can be cluttered and distracting, opt for one large feature pot or a group of pots in varying large sizes. If you are paving your courtyard choose larger format pavers – they will help to make your garden look larger. 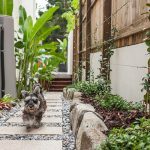 If you have a concrete slab and no budget to tile over it, artificial turf is one way to add a sense of garden where there isn’t one. 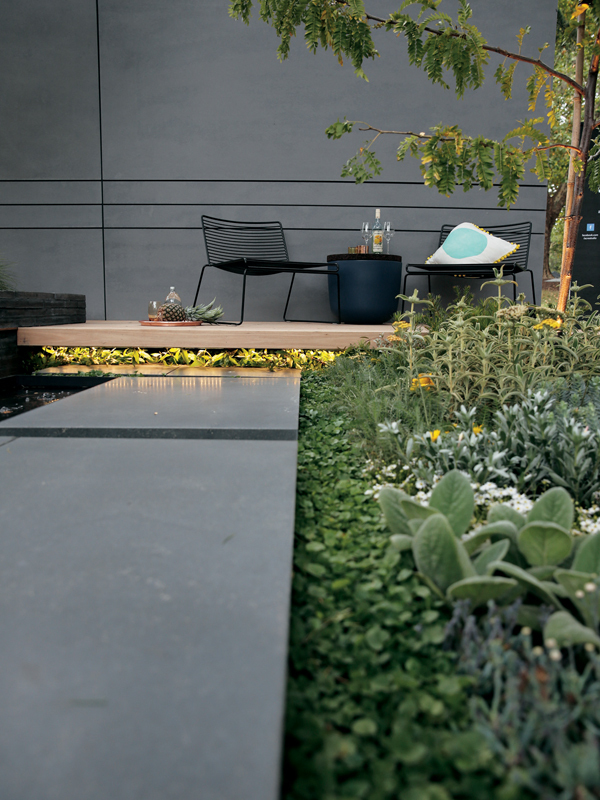 It can be laid over concrete or tired paving to add a bit of green to your outdoor space. Concrete paint is another affordable option for freshening up outdoor areas. in winter. Folding table and chairs work well too, and you can just hang them on the wall when you are finished. Privacy problems are common in the inner city. It is unsettling to feel as if people are watching you, which makes you less likely to spend time in your garden. Clumping bamboo such as slender weavers (Bambusa textilis Gracillis) is a fast way to screen out neighbours. It grows well in planters as long as they are well watered. Small trees will provide coverage if you have the space. An overhead pergola, vertical screen or blind are other solutions to allow you privacy without fear of prying eyes. Make the most of any borrowed views you may enjoy. I am not referring to those lucky few who have water views, but the more subtle outlooks. You can benefit from a neighbour’s big, beautiful tree and be thankful it isn’t in your little courtyard! It is best to keep the plant palette simple and uncomplicated. Tall, narrow planting will help achieve the feeling of space while providing a relief of green. 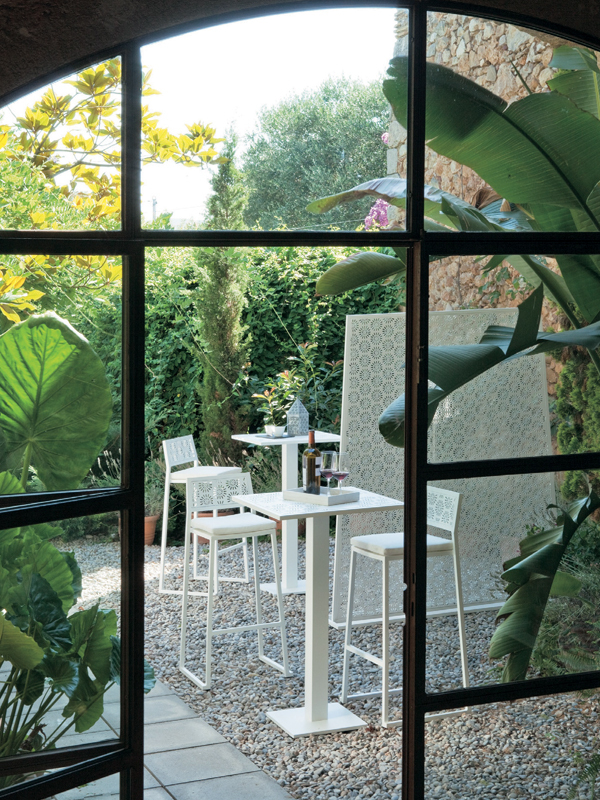 Creating flow from inside the home to the garden can make both spaces feel larger. 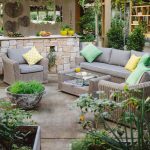 Adding visual interest in the garden will pull your eye outside and connect the garden to the interior of your home. When it comes to planting in a courtyard, think tall and thin. Bushy plants will take up a lot of space. Limit the number of different species you plant – it will add cohesion. Climbers can shine in a small space. 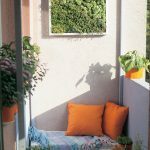 Varieties such as climbing fi g (Ficus pumila) or canarian ivy (Hedera canariensis) will attach themselves to your wall or fence with no additional support. Make sure to keep them well trimmed; your neighbours will thank you. Vertical gardens are one of my favourite ways to inject green into small spaces. Lighting up the garden at night is an effective way of gaining more useful time to enjoy your outdoor space. Small is always going to be small, but here are a few designer tricks that you can employ to help maximise the way your space feels. If the courtyard walls and fences are not an asset, paint them a dark colour, such as charcoal, so they appear to recede. Using similar colours throughout the garden can help to create a harmonised space. That being said, a judicious splash of bold colour in cushions, paint or planting can create much needed drama and excitement. Mirrors are a wonderful way to reflect a view or an element, which makes the garden feel lighter and brighter and gives the illusion of a sense of space. If your garden sanctuary dream is worlds apart from your concrete paved reality, don’t be put off! Often the best outcomes arrive from the toughest design dilemmas. Work with the area you have and embrace it. It doesn’t take much to create interest in a courtyard, but the devil is in the detail. In small areas, you must make your decisions count. There is a tendency to try to squeeze too much into small spaces, so remember less is almost always more!